Get Rid of Fine Lines, Wrinkles, and Sun Spots. Tighten Saggy Eye, Neck, and Chin Skin. Looking as good as you feel is not always easy. In a time of social media and selfies, we are always looking to improve or enhance the way we look. In the past, the only option was surgery with the risks of significant complications. 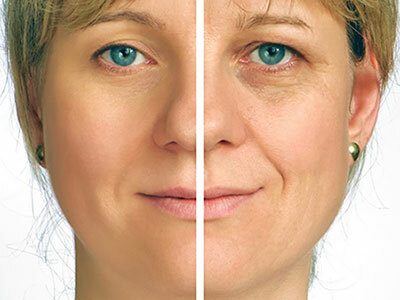 Now, with aesthetic non-surgical facial rejuvenation, you can enhance your appearance without the need for surgery and with convenient non-invasive treatments. Whether you want to get rid of fine lines and wrinkles, age spots, sun spots, hyperpigmentation, or if you simply hope to tighten the skin around your eyes, chin and neck, BergerHenry ENT’s Facial Rejuvenation Center seeks to rejuvenate the way you feel about your appearance. Dr. Meghan L. Brooking is a dual-trained Otolaryngology and Facial Plastic Surgeon who specializes in cosmetic and aesthetic facial rejuvenation treatments. She offers the latest, cutting edge non-surgical techniques that are performed in the office. Is Non-Surgical Facial Rejuvenation Painful? When Can I Return to Work? Most aesthetic non-surgical facial rejuvenation treatments take a little as 10- 20 minutes and are performed in the comfort of the office by Dr. Meghan Brooking. Treatments are typically administered the same day as the consultation and require little to no anesthesia. If local anesthesia is required, it is administered to assure minimal discomfort. We only use the latest techniques which provide minimal to no pain, bruising or swelling allowing you to immediately return to your daily routine the same day. Patients should expect to see results after just one treatment; however, Kybella and Microneedling treatments may require 1-4 treatments to see maximum results. Why Choose BergerHenry ENT for Your Facial Rejuvenation Treatments? If you wouldn’t take your car repairs to a bicycle shop, then why trust your facial rejuvenation to anyone but a trained Otolaryngologist who specializes in the anatomy and physiology of the face and neck? 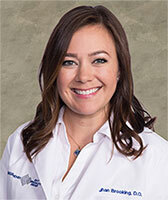 Dr. Meghan Brooking (pictured) is a dually-specialized Otolaryngologist and Facial Plastic Surgeon. She is trained to observe and treat facial asymmetry and volume deficiencies using the most up-to-date aesthetic techniques and products. Dr. Brooking provides personalized and professional consultations, allowing you to feel relaxed and comfortable before, during and after facial rejuvenation treatments. Together with the professional and expert staff at BergerHenry ENT Specialty Group, Dr. Brooking creates a warm and inviting environment, helping you to achieve your most youthful and rejuvenated self. You can make an appointment on our website or simply call the office at (610) 279-7878. Dr. Brooking has office hours in many of our six convenient Philadelphia locations to accommodate your aesthetic needs. Depending on the services needed, you may be able to have your aesthetic facial rejuvenation treatment immediately after your consultation.